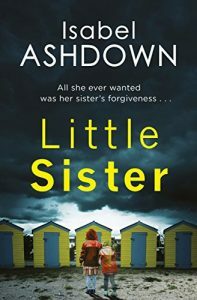 I was lucky enough recently to interview Isabel Ashdown about her latest book, Little Sister, for New Books magazine and the Nudge website. Follow this link to read it and find out more. With thanks to Isabel and New Books for the fantastic opportunity. Can’t wait for the next book!